It is an all-encompassing tool that provides sellers with all the data to be successful. However, with all of that information comes a responsibility. Since Walmart’s Retail Link® System is so comprehensive, Walmart holds its suppliers accountable for managing their inventory. A well-maintained inventory is one of the keys to being a successful seller on Walmart. If products are constantly out of stock or not available at key times, like grills during the summer, Walmart may want to part ways. Retail Link® can break down a seller’s SKU’s as far as products sold at 1 A.M. in Kansas. That results in a lot of information daily. Most successful brands employ someone solely to examine their retail link reports. This person is responsible to keep the brand’s supply chain moving like a well-oiled machine. Since Retail Link® supplies brands with such comprehensive data, they can predict buyer patterns, anticipate needs during peak times, and make sure inventory is always available. With access to this information, it helps companies connect with customer needs and create a positive shopping experience. Sales will increase because consumers will be able to purchase what they are looking for when products are regularly available. Retail Link® had a humble start with just assisting in inventory. In 2013, that changed into the Retail Link® Walmart Suppliers use today. All retailers have access to information that was once reserved for only large companies. That means a small business can access the same detailed SKU data as a larger brand. Brands can now have the correct amount of inventory on hand. No more over buying. Keeping inventory costs down saves them money. That saved revenue can be used towards R&D, marketing, or new technology. Retail Link® suppliers can now grow their businesses in ways they would have not thought possible. Brands would love to have a genie tell them what is likely to happen in their business. Retail Link® is, in a sense, a retailer’s genie. 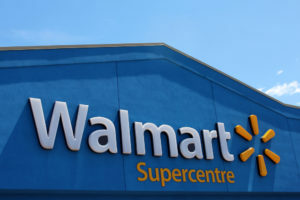 When Walmart unveiled it over 20 years ago, the intent was to assist purely with inventory and supply chain management. With its latest version, however so much more is now possible. The new version has information about weather patterns and predicting 52 week sales. That upgraded technology might not sound like much but it can impact a small or large business tremendously. If a company can predict weather patterns, it ensures that certain products are available when they are needed. It also helps with customer service. If a strong tornado season is predicted for the Midwest, brands might want to have alternate shipping options in place. This information allows brands to be proactive instead of reactive. Retail Link’s predictions don’t end with weather patterns. It provides sales forecasting that can help with inventory management. Those sales predictions can also show areas where a new or complimentary product might possibly be added to an assortment. With that information brands can once again be proactive, this time with their assortments. Data complied during peak selling times can tell a brand what products were big hits, and which they might not want to spend inventory dollars on. Retail Link® has a lot of weight when it comes to assisting sellers with inventory and assortment plans. Retail Link® is a registered trademark of Walmart Stores, Inc.